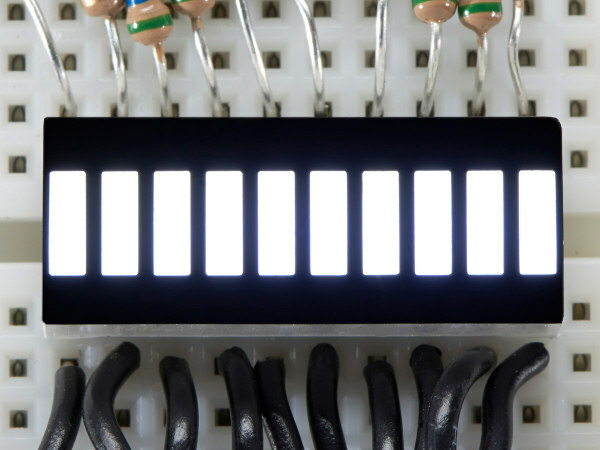 These 10 segment bar graph LEDs have many uses. With a compact footprint, simple hookup, they are easy for prototyping or finished products. Essentially, they are 10 individual white LEDs housed together, each with an individual anode and cathode connection.